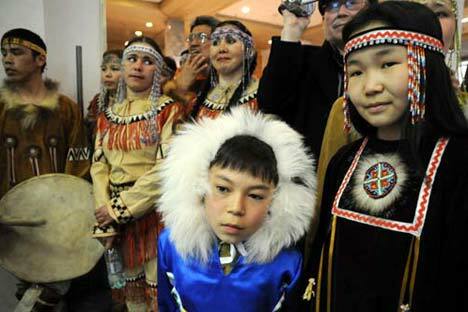 Today we are setting off to Siberia, the republic of Sakha to visit quite a remarkable people, the Yakuts. There are just 450 thousand of them on our planet. The Yakuts are a mysterious people. Many thousands years ago for some unknown reason this folk moved to Siberia from the Southern steppe-lands near the Aral Sea. They completely preserved all the customs and peculiarities of the language.